Rooting the Android phone has emerged out to be a very popular activity among the people who are concerned with Android phones and their applications. By rooting the Android phones, you will unlock to a whole new world ofthe hidden features which cannot be accessed or explored normally. Some of the features includes installing of stock Android apps, extending the battery life of the phone by uninstalling the in-built apps which cannot be uninstalled, install third-party applications which are not supported with unrooted Android phone. Now, all these features are pretty attracting but rooting the Android phone have some disadvantages too. For example, after rooting your device will not be covered under the guarantee card, and in the Google Play Store there are some apps that are not available on rooted devices, such as Snpachat, Pokémon Go, Android Pay and etc. Of course, there are still many more disadvantages which has to be counted. But if you sum up the overall advantages and disadvantages, Android users prefer to root their phone because of the exciting features which are explored after rooting. Rooting an Android phone is similar to the jailbreaking of iPhone. But just in case if you want to unroot your Android phone, then you can also refer to the tutorial we linked at the beginning of this article. Tip: Every time before you are going to root your Android, please remember to backup your phone data beforehead in case of unexpected data loss during the root process. If unfortunately it do happens, try Jihosoft Android Phone Recovery tool to recover deleted data from Android without backup. But apart from other disadvantages, the main disadvantage which will be encountered the most is that you cannot be able to access those applications which are highly secured or popular in the Google Play Store. For example, the net banking application of any particular bank, social media applications like Snapchat etc. So, this big limitation is overcome by Magisk Manager. Magisk Manager is basically an Android root hide tool which will hide the root of the Android phone from those applications that are unable to be launched in a rooted Android phone. 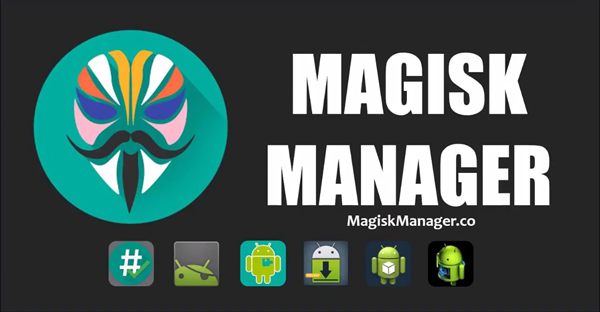 Magisk is the finest application manager which will not let any application to detect the root in the rooted Android phone, and will allow you to access all the features that are disabled after the rooting of Android phone. For example, you can access the highly secured banking applications at an ease. And if system software updates are available to download and install, then you can download and install the updates without unrooting your rooted phone. Moreover, the convenience of using this manager is the best part of it because it just takes a very little portion of space in your phone and doesn’t affect the functioning of the rooted phone in any means. That’s why it is very popular among the users from all around the globe and anyone who roots his/her Android phone uses Magisk manager to hide root from the apps which don’t support rooted Android. 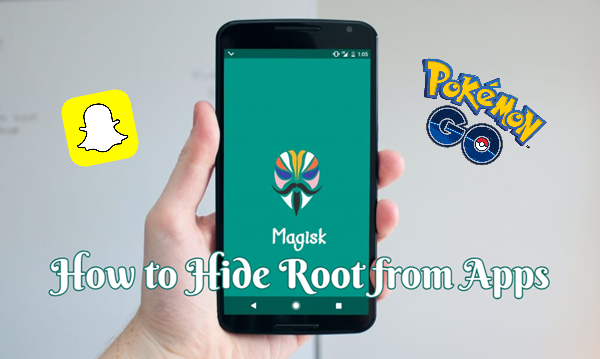 Now, please go through the whole article to know about all the details of how to install and use Magisk manager to hide root from Snapchat, Pokémon Go, Android Pay and other apps that don’t support rooted Android device. How to Install Root Hiding Tool? First of all, download the Magisk manager from the web, install the package APK and click on the install option to proceed further. For some security reasons, the installation of a third-party application is blocked by the Android system. So, just enable this option from the Settings named “Allow installation from unknown sources”. After allowing, you will be back again to the installation page and from there you can install the Magisk manager successfully. Now, after the installation process, you have to grant the permission to this manager if you had installed SuperSU application which grants the permissions to the apps that requires root in your phone. After granting the permission, you have to click on the detect option after you launch the Magisk manager. This is done to identify the location of the boot image. After it detects the boot image, click on the icon named “Download and install” to get started. After the files is downloaded, it will ask you to restart the phone. Just allow the rebooting of device. After you launch the application, you are able to use this to hide root from the applications which don’t support rooted devices. 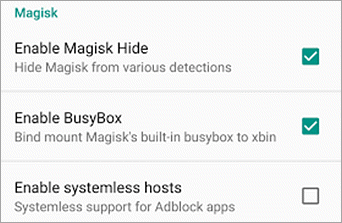 How to Use Magisk Manager to Hide Root Access from Apps on Android? You had passed the half way mark by installing the Magisk manager. Now, the next step is to hide root for apps by using Magisk Manager. Initially, when you are going to launch any application which is unsupported, you won’t be able to run them. So, in order to use that application, you have to enable the permission to hide the root from these applications. To do that, just simply launch the Magisk Manager and hit on the “Menu” option and from there you will find the option to enable Magisk Hide. After you enable it, a list of application will be displayed on your screen and you can hide all the applications one by one by hitting the enable option. After enabling the Magisk hide for different applications, you are now able to run all the applications which are not supported in the rooted device. Even the most highly secured banking apps is now be accessed and used by you without any problem. Many of the big social media applications like Facebook, Instagram, Snapchat can also be hide from the root and in this case, you won’t find any restriction or limitation in the functioning of these applications. That’s why Magisk manager is so popular because of the compatibility and accuracy it provides to the users. It doesn’t matter that application is developed by a small company or a big company, what is the size of the application or any parameter, the Magisk manager will give you the results and will never disappoint you. It is possible that applications developed by Google Inc will sometimes become unsupported because of the change in algorithm made by Google. But you don’t have to worry about that issue, Magisk manager requires or offers regular updates so that change in algorithm of any unsupported application won’t affect the functioning of that application in your rooted Android phone. Note: Initially, the applications will run slower than the usual but you can reboot your Android device one or two times and after that everything will become normal. The functioning of every application will become smooth and you will not face any bugs at all. If you are planning to root your Android device, then please don’t hesitate because our developers had developed some magnificent stuffs to counter any problem which comes in between the way. Rooting is considered to be an annoying task in the past because it will end the guarantee of the phone, but nowadays rooting is so common among the Android users. If you are using any type of hide my root apps like the Magisk manager, then you share with us and other users in the comment section so that an alternate can be offered in this segment. And please don’t forget to share this article with your friends and come to visit our blog for more helpful tutorials like Bypass FRP on Android.